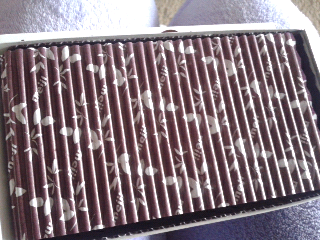 So, I guess the Japanese confectionary company Meiji has been coming up with different choco covered almond treats. 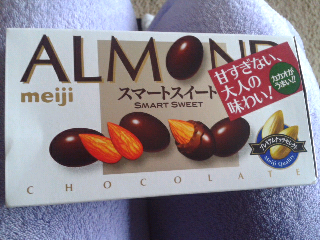 I've tried the original one but not sure what makes this one different besides the packaging saying it is "Smart Sweet." 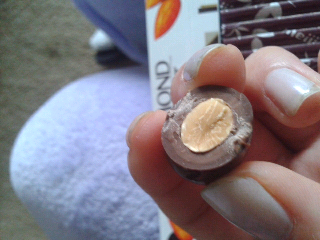 The packaging is simple and believe like the other original Chocolate covered almonds. 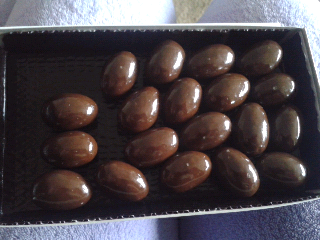 They look similar too, I feel like the chocolate on these ones is a bit darker, but other than that, I don't think there really is any difference honestly. 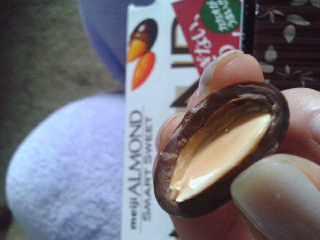 overall, I'm a sucker for chocolate covered almonds and the Meiji ones are probably one of the better ones i've tried!